SPABABY SECRETS . 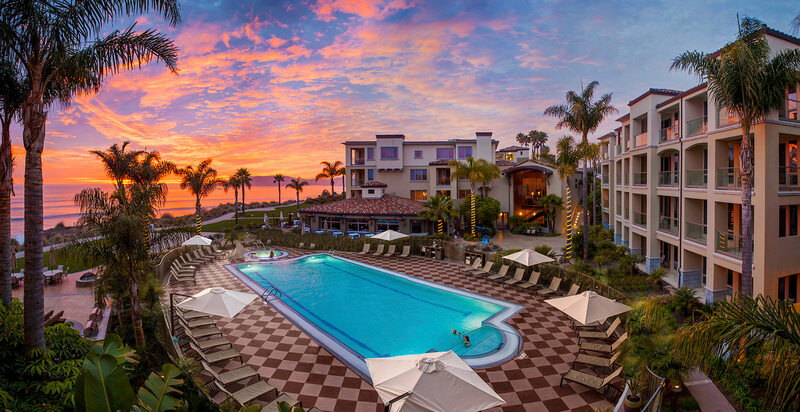 . .
Dolphin Bay Resort & Spa is one of the most elegant places to relax on the Central Coast. The hotel offers outstanding suites and ammenities for guest enjoyment. A restaurant menu filled with healthy plant-based options and beverages, as well as a visually beautiful envitroment to experience the beauty of the sea. Exercise and walking above the beach is a special treat at this resort, with ocean views that some of the most beautiful in California. Swimming and enjoying a jacuzzi in the huge pool or exercising in the well equipped gym to 'shake it out' during your stay is inviting. The Dolphin Bay Spa is a delightful venue with an ocean view where patrons can lose their jet lag in the sauna, enjoy a full menu of amazing services done with the best product lines available, and lounge in front of a live fire with a complimentary glass of champagne during their stay. The spa has a well stocked boutique with lovely gift items for guest convenience. The manager and staff are amazing. Health and fun are definately on the agenda at this beautiful property, and it seems to be ideally suites to families or corporate groups, but the pampering, dining and sunsets are the stuff that keep guests coming back to Dolphin Bay Resort & Spa.